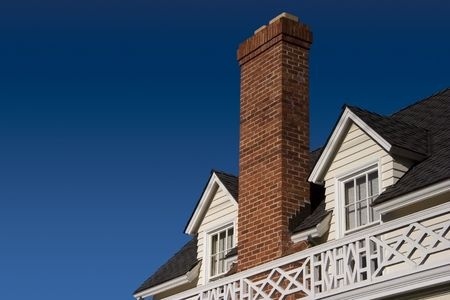 What's The Cost For Chimney Cleaning? Whether you do the job yourself or hire a professional, the cost for chimney cleaning is money well spent, especially when the alternative is the possibility of a chimney fire. Although I'm a huge advocate for saving money, this is a situation where it’s best to error on the side of safety and spend the money to clean your chimney on a regular basis. According to the National Fire Protection Association, heating equipment used inside the home is the primary cause of house fire in the U.S. In fact, thirty percent of these fires were due to uncleaned chimneys. 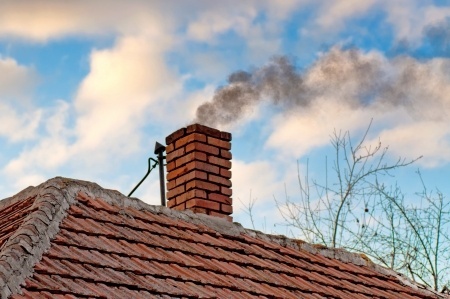 Therefore, it’s extremely important to have your chimney cleaned to remove the buildup of creosote on a regular basis. This assures you will be warm and safe inside your home during the winter months and you won’t be standing outside in the cold while your dirty chimney burns the house down. The crucial reason for chimney cleaning is to remove the creosote that builds up during the burning of wood in the fireplace or stove. Creosote coats the inside of the chimney and is very flammable, especially when it's allowed to build up to unsafe levels due to neglectful cleaning habits. When the creosote builds up to unsafe levels, it makes the chimney a prime target for experiencing a chimney fire when the substance ignites. Chimney fires due to creosote can reach temperatures of 2,000-degrees Fahrenheit, which can be both deadly and disastrous. The Chimney Safety Institute of America recommends at least an annual inspection and cleaning to make sure your chimney is in safe working order. 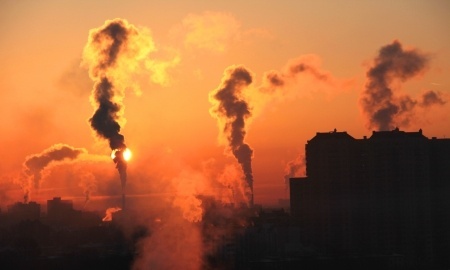 Chimneys require at least one annual cleaning. However, the frequency of necessary cleanings depends solely on the amount of use the fireplace or stove receives and the type of fuel used. For example, fireplaces or stoves used regularly throughout the week (like those used as a primary heat source) require more frequent cleanings than those used occasionally such as once or twice a month. 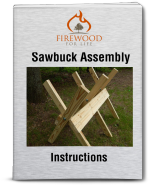 Other factors include whether you are using well-seasoned wood or wood that is green, which produces more creosote buildup. Using well-seasoned wood is always recommended and it's one of the easiest ways to prevent the buildup of creosote on you chimney walls. Additional items that come into play include the type of unit you are using and how it’s used. For example, allowing a fire to burn slow and cold is more likely to cause creosote compared to a fire that's allowed to burn at a proper temperature which does not cause unburnt gasses to rise up your chimney and adhere to the chimney walls. Contact a professional chimney sweep for an inspection and advice on a proper cleaning schedule for your particular situation if you are unsure how often your chimney requires cleaning. Then, you will have a better idea of when to do the job yourself or call in a professional to handle the cleaning. When calling in a professional chimney sweep to inspect your chimney, make sure the person is CSIA-certified. During an inspection, your fireplace and flue is checked to see if they require cleaning, as well as the smoke chamber, liners, firebox and the exterior of the chimney. If there are structural damages to the chimney, the inspection will find these so required repairs can be made, making the chimney safe for use. Costs for cleaning and inspecting a chimney can differ from location to location, the company utilized in the process and the time of year. However, according to the Chimney Safety Institute of America, the average cost of a standard inspection of your chimney ranges around $75, which is money well spent. According to Home Advisor, the national average cost of chimney cleaning was $209, with an average range between $123 and $309. Low-range expenses cost around $89, whereas high-end costs were as steep as $787. Before you jump up, start cleaning your own chimney, and especially if you’ve never done the job before, be aware that chimney cleaning isn’t for everyone. Chimney cleaning is a very labor-intensive job that requires climbing on your roof and utilizing every muscle in your body. If you aren’t up for such a rigorous workout, it’s probably best to let a professional handle the cleaning project. However, if you are up to the strenuous chore, the basic cost for chimney cleaning depends on how many of needed supplies you already have on hand. More than likely, you won’t have the necessary brushes and rods required to clean a chimney, so these items will need purchasing. 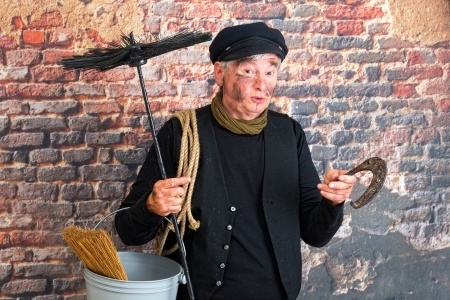 Whether you decide to handle the cleaning a chimney yourself or hire a professional chimney sweep to do the job, the cost for chimney cleaning is money well spent.....especially since regular cleaning keeps your chimney working properly and safely. When the cold winds of winter come knocking at your door, you'll have the peace of mind knowing your chimney is clean and ready for use, which lessens the possibility of a house fire.